Sorry for the (extremely) long post but I Have been thinking about this for a few days and as a nurse and a parent have seen how the NHS system is from both sides recently, and just wanted to share our experience. I know the NHS staff are very good at their jobs but the purpose of this post is I feel that sometimes, parents and patients just know best and to go with your instinct. There is no harm in being persistent and if all the tests come back fine then you know there is nothing wrong but in some cases there is something wrong, and it took us 13 weeks to get someone to listen to us and realise we weren’t just being over protective or wasting their time. Some of you will know that Brooke has been unwell for 14 weeks now, starting with a cough and cold symptoms in September, not long after she started nursery. The perfect timing for children to pick up bugs and spread them around. However after 6 weeks of her being unwell and continuing to have temperatures I began to worry that this wasn’t just a “viral” thing like everyone told me! After searching the internet for various things I thought maybe croup or whooping cough; her GP eventually gave her a course of antibiotics which relieved her symptoms for a few days but then it started all over again. By this point as a worried mum, I felt like I had done everything I could to manage this at home but she wasn’t getting any better so called NHS111 for some advice, after some lengthy phone assessments we were advised to go to A&E, only to arrive and be told that she had “a VIRAL wheeze” and sent home again with an inhaler that she wouldn’t even tolerate so wasn’t much good. Fighting with her to have it made her more distressed and breathless which wasn’t what I wanted. After 12 hours of this, her condition was much worse so we called NHS AGAIN, they planned to send us an ambulance but we took her straight to A&E ourselves. This time we waited, much longer and when the doctor eventually did see her told us that she did not have a wheeze and that her chest sounded clear and to stop using the inhaler- I’m not Doctor but alarm bells were ringing! I understand the department was very busy and the staff were under a lot of pressure, but felt that we weren’t being taken seriously, and was told we could take her home. At this point she still had a high temperature despite having medication. Her oxygen levels weren’t brilliant and they had done nothing to help her so asked for a Children’s doctor to review her. Eventually we were taken to children’s ward where the junior doctor reviewed her and surprise surprise told us that he thought it was viral; you can imagine at this point it was the last thing I wanted to hear so disagreed with him. We were then seen by a Consultant, a respiratory Specialist; at last, someone who knows what they’re talking about. Within 5 minutes of meeting Brooke she suspected Pneumonia, which was later confirmed by Xray. The following day Brooke was home with 2 weeks of antibiotics. You know what’s coming next, 2 weeks later, it starts all over again! 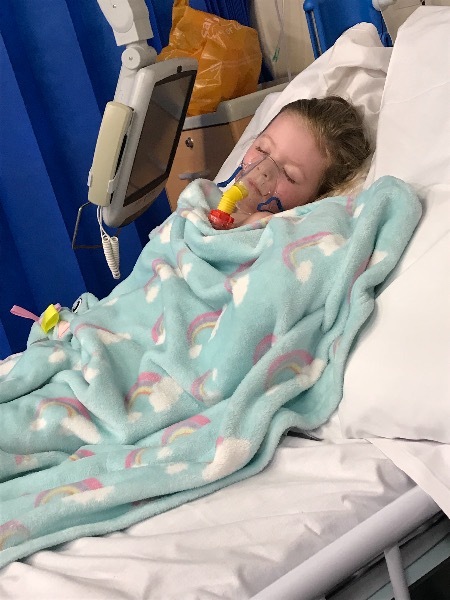 But this time Brooke is having breathing problems, an ambulance came to take her to hospital with continuous oxygen, when we arrived in A&E we were asked to wait in the playroom, now with no oxygen, and wasn’t seen by anyone for about half an hour. The Trainee Practitioner then reviewed Brooke and said she was fine to go home- 😳😡. Back to square one!! The outcome of all this was that Brooke had Pneumonia for the majority of this, and had a rarer type of bacteria in her lungs which was resistant to Penicillin so the antibiotics hadn’t worked. She has now had more antibiotics, steroids, oxygen and nebulisers and after a few nights in hospital is home in time for xmas! She has more tests to go through in a few weeks to get to the bottom of it all but we were so lucky that we finally have a Consultant that is doing what is best for Brooke! 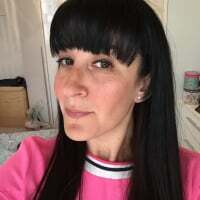 It has been a very stressful and worrying time for us and I just want people to be aware that we know our kids best and we know when there is something wrong! Sometimes you feel like you’re being one of those pushy people, but if I hadn’t been who knows how Brooke would have been now!